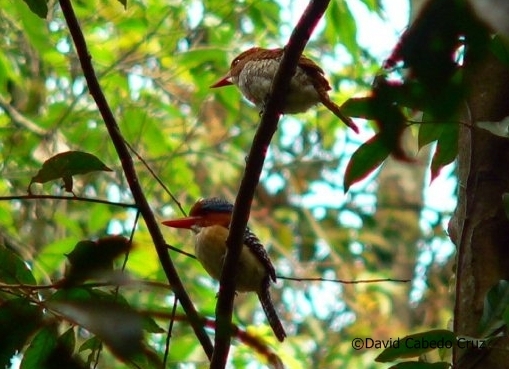 A COUPLE OF BANDED KINGFISHER ! 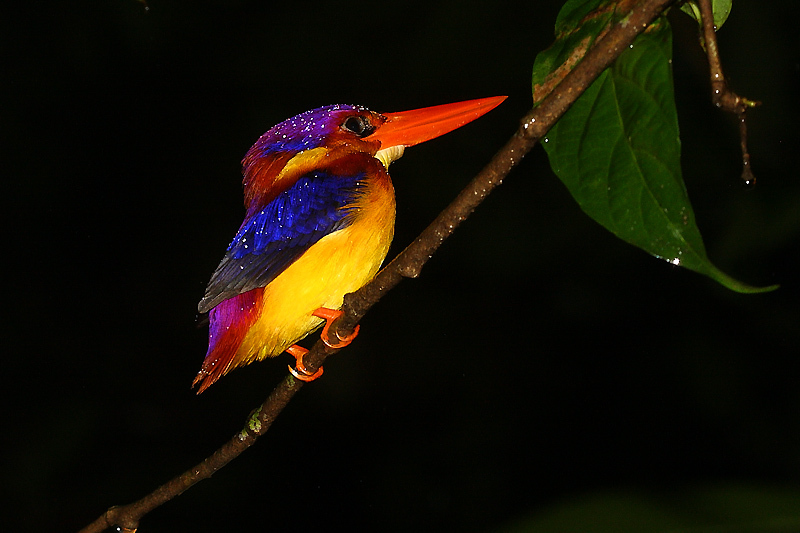 The Banded kingfisher is a great bird to spot in Thailand. I could spot a couple of it in Khao Yao National Park,near the headquarters,on the forest edge, at 14:30 pm.I could take this picture of the male and the female as they remain still for a long time.The male sometimes displayed its crest but they remained perched on the branch for almost 10 minutes.Another location where i could enjoy of this amazing bird was in Poring Hotspring in Borneo.I walked through one of the trails in the morning, about 8 o´clock,and i meet a male at less than 1 meter of distance !!! 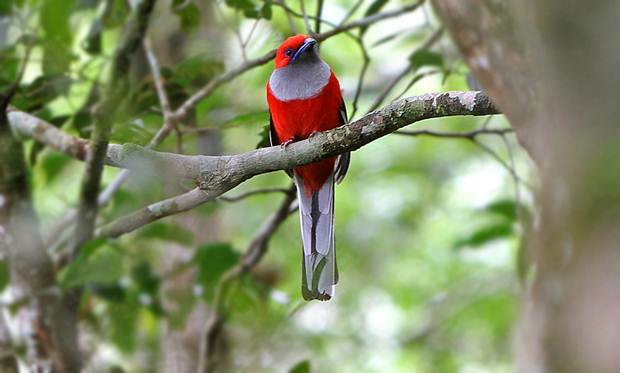 Borneo is one of the favourite hotspots for birdwatchers.With more of 600 species,Borneo is a must for bird lovers. Mount Kinabalu National Park is one of the best places to see incredible birds.Located near Kota Kinabalu,the capital of Sabah, is an amazing place to spot birds from 1500 m to 3500 m.Vegetation changes as long as you climb to the top.The most interestig birds are located in the first 1000 m of the park. 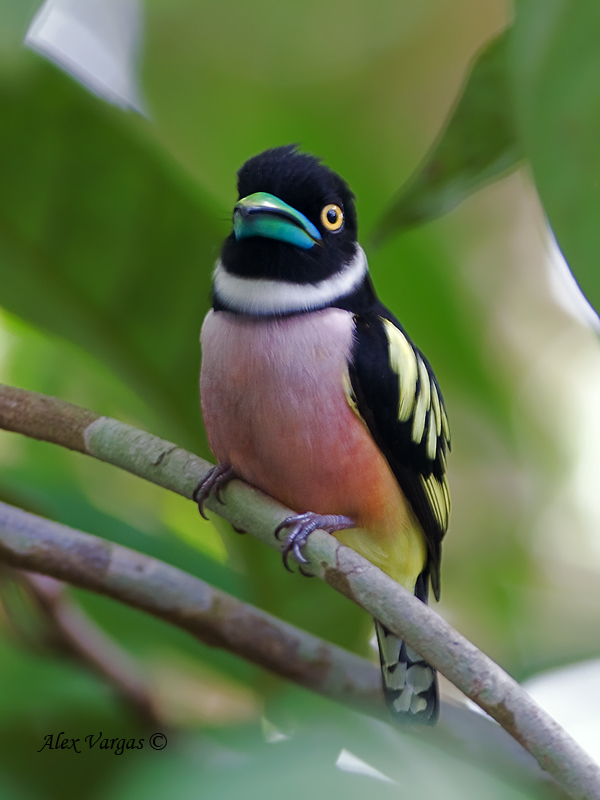 Two of the best birds to spot is the Whitehead´s Trogon and the Whitehead´s Broadbill ,2 endemic birds of borneo, but they are not easy to find.You have to go through the trails deep inside the forest and not always appear.I walk through the trails many times at different hours and i wasn t lucky enough to spot one of these amazing birds. 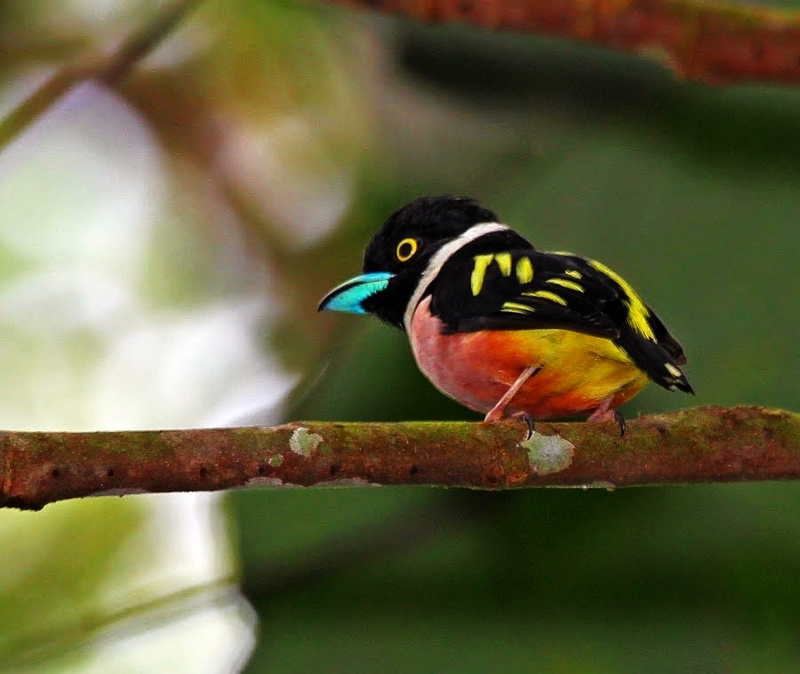 Anyway, I saw many other beautiful birds, as Short-Tailed Magpie, Indigo Flycatcher, Chesnut-capped Laughing thrush, Sunda Laughingthrush, Black-capped White-eye, Bornean Whistler, Bornean Bulbul, Chestnut-crested Yuhina, Ashy Tailorbird, Ferrugineous Flycatcher, Raffle´s Malkoha, Orange Headed Thrush and the gorgeus Themmick´s Sunbird. Poring Hot Spring was my next destination,located near Mount Kinabalu National Park.Accomodation is affordable and it s avery quiet place on weekdays.I found many sunbirds,and spiderhunters ,as Spectacled Spiderhunter,on the main entrance.Along the trails on the nearbies my great surprise was to find a Black and Yellow Broadbill and a Banded Kingfisher very close to me.Another good birds that i watched were the Chestnut-Breasted Malkoha,Buff-rumped Woodpecker,and Orange bellied Flowerpecker on the nearbies of the hot spring. Sepilok Rehabilitation Center is famous for its orangutans. 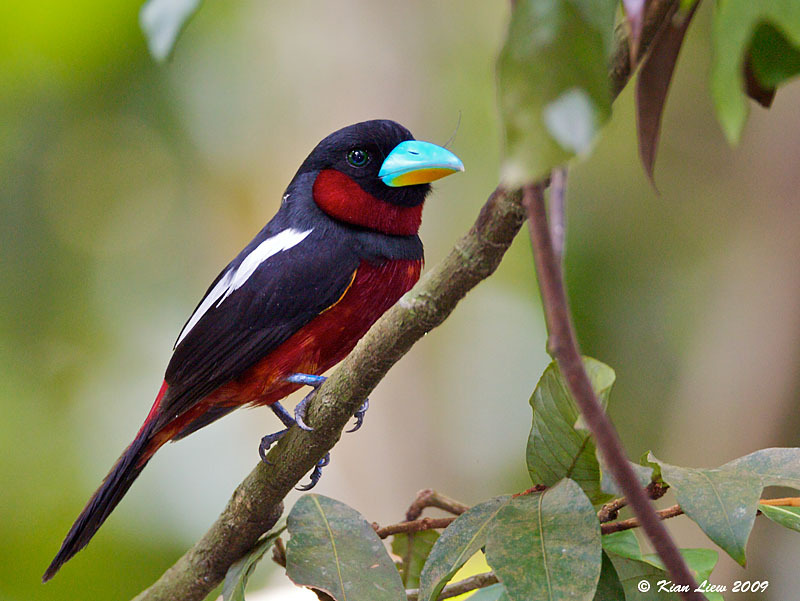 I stayed in a beautiful guesthouse, near Sepilok, with a garden where on the nearbies i could find many other birds that i was looking for.My big surprise was to catch a glimpse of one bird that i was trying to spot i Thailand, the Black and Red Broadbill . It was perched on branch in the garden !!! Rainforest Discovery Park,is located at 10 km from Sepilok.It s not a well-known park for birwatching but it s an excellent place to go.I was amazed with the presence of a single orangutan from one of the towers. There are a wide variety of kingfishers and when i was walking on a trail i stared at an Oriental Dwarf Kingfisher.A red-naped Trogon was perched on a branch and i delighted my sight of it for a long time.At the end of one trail i saw a Crested Serpent Eagle looking around for food.Chrimson sunbirds were licking nectar on the flowers of the entrance.Unfortunately i couldn´t see any Bristlehead,the bird emblem of Borneo. Kinanbangatan River was my next destination.This is a protected area around the river where it hosts lots of birds and mammals in a small area.The best way to see them is going by boat along the river.Mammals are plentiful there and you can see easyly Orangutans, Proboscis monkeys, and sometimes Asian Pigmean Elephant.Stork-billed Kingfishers are quite common along the river as well as many species of hornbills.I often saw Wrinkled Hornbills, Oriental Pied Hornbills, and Milky Storks passing in groups through the river.Rhinoceros Hornbill is the star atraction there and in my last day I could enjoy the view of this gorgeous animal. At night i went through the jungle with a guide.We spotted a civet and a Black-backed Kingfisher sleeping on a branch.When i came back to the guest house i got a pair of leeches sucking my blood on my legs.Next morning i went on this trail and i saw a Wild Boar staring at me on the front.Fortunately this dangerous animal continued its path. Afterthat I planned to go to Danum Valley Conservation Area, a superb area of well-preserved lowland forest located at 80 km from Lahad Datu.There are 2 options where to stay: Danum Valley Field Center,a research center for scientists,and the Borneo Rainforest Lodge.The last one is the only lodge where you can stay in Danum Valley but its location is excelent, in the middle of the jungle, with many trails on the nearbies where to go.They can pick you up in Lahad Datu and bring you to the lodge by 4 wheels.Unfortunately,I couldn´t go there because I was short of money. Tabin Wildlife Reserve, a dry dipterocarp forest area located near Lahad Datu,was my second option,but my budget also was not enough and acommodation prices are not affordable for a backpacker like me.However,many people recommend me to go there and i suggest you if you have time and you can afford it it s an excellent destination to go. 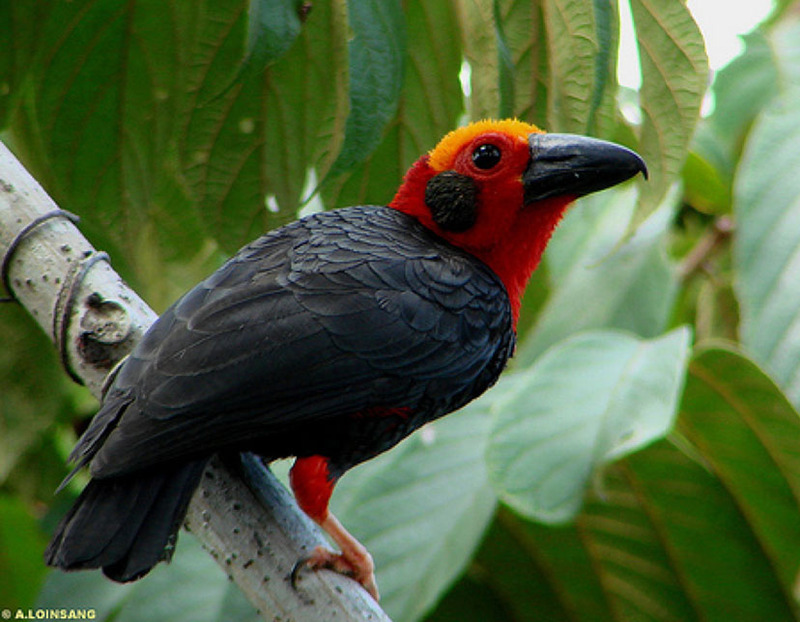 It hosts more than 220 species of birds ,the endangered Helmeted Hornbill among others, and it s one of the few places where you can find the Sumatran Rhinoceros if you are very lucky, and other mammals as Borneo Elephant, Tembadau, primates, cats and more. I enjoyed a lot in this wild land and i promise that i will come back there again !! !